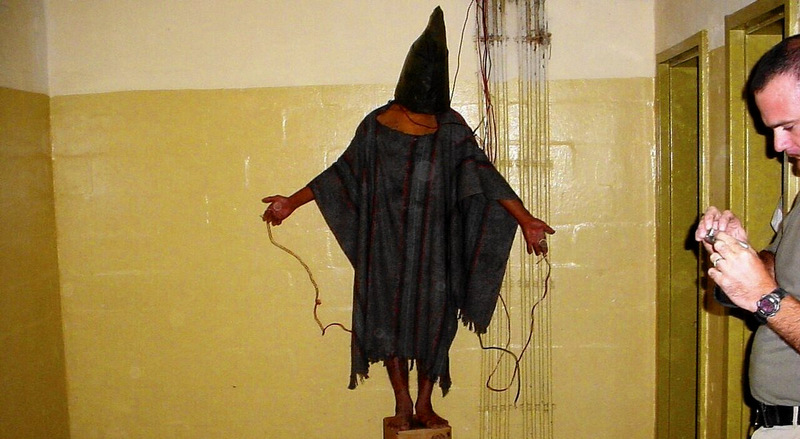 Colin Pantall's blog: Abu Ghraib: Who is in the picture? I feel like I'm missing something here and this has been written about before in lots of places but so it goes. The question of who is in the picture, if anyone (it is only a picture after all) is so complex. We can fetishise images so much that we become like some cave-dwelling community adamant that photographs steal our souls. But that's not necessarily the case and here are a couple of examples of that. I don't know what's right here or even if there is a right. But I can see some wrongs, and that is what is most interesting. I watched this video the other day of Ali Shallal al-Qaisi recounting his experiences of torture in Abu Ghraib prison. He aslo claimed he was the man in the famous hooded man picture but apparently he wasn't, and it was determined that he wasn't some years ago. I'm not quite sure how this was determined, but it was by all accounts even if the people giving those accounts might be less than reliable. 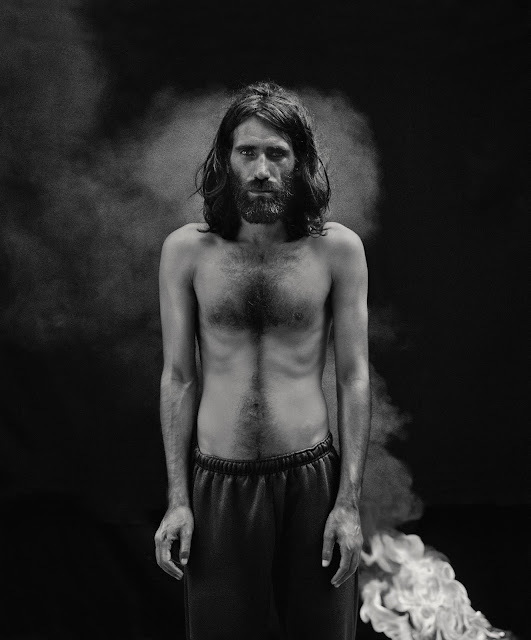 He had been in Abu Ghraib prison though, he had been hooded, he had been tortured, he had been electrocuted, but he wasn't the actual man in the picture. The man was apparently Abdou Hussain Saad Faleh. It does matter that al-Qaisi wasn't the man, but the man who it was has not been found. You're left with a gap between iconic image and what lies behind it. The man who was apparently in the picture has not been found, perhaps he is alive, perhaps he is dead, perhaps he doesn't exist. He is not there to speak from the other side of the image (or the images) from Abu Ghraib - which leaves us with al-Qaisi who is very able to talk from the other side of the image of the humiliation, torture and lasting psychological damage that was done to him. By claiming to be that man (and why not, every person who was tortured in Abu Ghraib could be that man), he crystallised his citizenship, he called out to the spectator what happened in that prison, how he was violated on every level. He also moves the image away from the politically and geographically limited American perspective (Peggy Phelan describes it as the "what these pictures say about us" view) and also remove at least some of the blind spots that have existed in the reading of these images. And that's what matters. It's curious to see the comments on Errol Morris' views on the piece, in which Morris classifies the question of who exactly it was in the image (which does matter) as a 'who-is-under-it, rather than a who-dunnit?' and notes on the ways in which images do not exist independently of theories and presuppositions but feed off them and gain their own momentum. The comments also reflect a particular way of thinking and seeing the world. They drill down into the photographic, into the minutae of sports reporting and cinematic and miss the real point of the image and Ali Shallal al-Qaisi's claim, a claim that is everything to do with that idea of the spectator as an active participant in viewing the image, and the photograph as a fluid entity that is not fixed by its makers or its history. Maybe, I'm not sure. Ariella Azoulay (who I'm re-reading at the moment because of this series of posts) mentions the case of Mrs Abu-Zohir, volunteering her legs, injured by rubber bullets fired by the Israeli Defence Force. There's a debate as to whether the injuries will be newsworthy enough, but she insists the picture is taken. The photography, Zvi Gilat, asks to see her legs. She refuses. They are her legs, he cannot see them. Photographer: Show me your legs. Mrs Abu-Zohir: I won't show you my legs. You're not going to see my legs. Photographer to translator: Explain to her that this photo is going to appear in the newspapers, and the entire world is going to see her legs. Mrs Abu-Zohir: A photo's a photo. I don't care if the photo is seen, but you're not going to be in the room with me when I expose my legs.